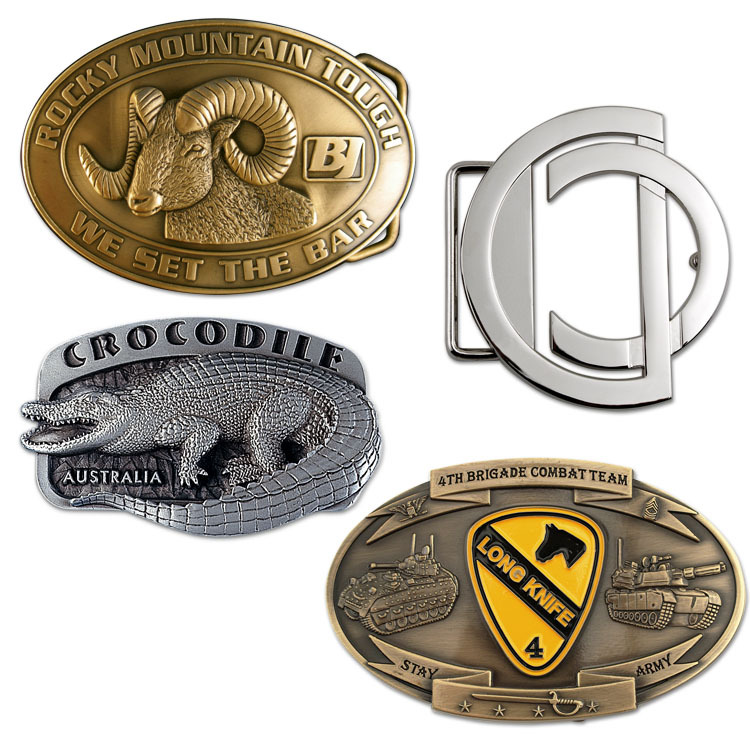 Custom Die Cast Zinc Belt Buckles provide practical wearable recognition and brand identity. Includes a fully custom shape and your choice of bright nickel, bright copper, black nickel, antique brass or antique copper finishes. Ideal for transportation, safety, recognition and corporate award belt programs. * Die cast zinc belt buck in your custom shape. * Price includes choice of 5 different finishes: bright nickel, bright copper, black nickel, antique brass or antique copper. Other finishes available, QUR.